At Debbie's funeral, we heard her song "Patient Grace" sung by Jono. 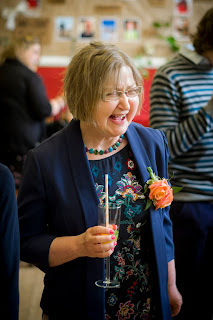 We thought a fitting final post on her blog would be to post the words to the song, and information as to how you can obtain a copy of the recording and also other ways to make donations to the causes Debs wanted to support. You are singing a new song in me. And you are our friend? To get a link to download an mp3 recording of the song, simply go to our Justgiving page, make a donation, however small, and you will receive an email containing the download link. Please note donations made this way cannot be Gift Aided, as they are treated as a purchase. To make a Gift Aid donation to St John's Hospice, click here. To make a Gift Aid donation to the work of Messy Church, click here. If you do make a direct donation, it would be great to know about it, so we can add it to the total donations we are aware of. We can include other donations separately on the Justgiving page to keep an online tally. Please notify Mike by email or Facebook Messenger. 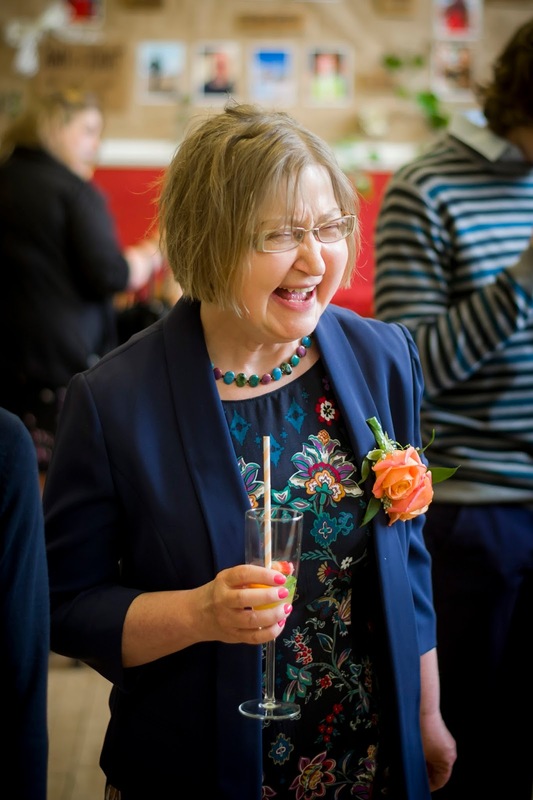 Finally, here is the picture of Debbie we placed on the front of the order of service, which captured her laughter at Jono and Amy's wedding in March 2015. We hope that is a fitting way to sign off on this amazing blog. What a fitting and lovely entry on this precious blog. Heartfelt thanks to both of you for what it has given me and Bob. Will print this song a photo as a wonderful momento. I am very touched. The song has healed a long time callous and pain. I do not know you all, but feel the need to say thank you. I am saddened by her loss, even though I never knew her. Bless you.